As the ʻAlalā return to their native habitat it is critical that land managers, scientists, and community members work together as “ʻAlalā Ambassadors” ensuring that the birds have the space, environment, and support they need to thrive. The first releases will be in the Puʻu Makaʻala Natural Area Reserve. The site is located near Keauhou Forest, owned by Kamehameha Schools. The Kūlani-Keauhou area has been managed for many years to promote native forests, is fenced and free of ungulates (cows, pigs, sheep, etc. ), has a dense understory, and lots of ʻAlalā food plants. 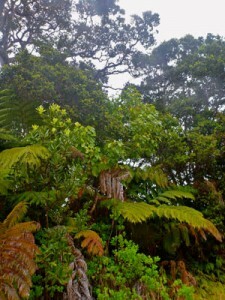 The Kaʻū Forest Reserve is the second-best area for release, and it is hoped that releases will begin there after more management for promoting native forest habitat has occurred. Establish a wild self-sustaining population of ʻAlalā. 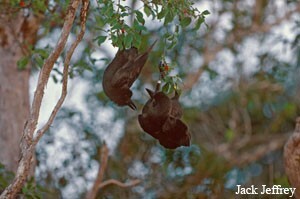 The wild ʻAlalā will play their ecological roles in the native forest ecosystem. The population will need little help from humans to survive. Releases are anticipated to occur for at least five years once they begin. An average of 15 offspring per year can be produced in captivity, which means there will be a sustainable source of birds for release. Most likely, 12 birds will be released in the 2016-2017 season. They will be divided into two groups of six each. The first group will be hatched out earlier and released first. The second group will be released a few months later. The birds all will be hatched out several months before the release. They will be transferred to the release aviary at about 6 months old and released at about 8 months old. The birds will be held in a large flight aviary at the release site for several months before release. This is called a soft release, as they will have time to get used to their new home environment. 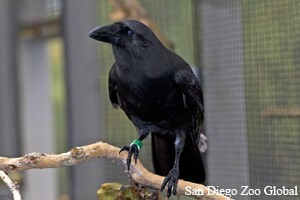 While in the aviary, they will be cared for, fed, and monitored by project staff. After release, they will continue to get supplemental feeding and close monitoring. The area around the release site will have intensive predator control. ʻAlalā will be trained before they are released to recognize ‘Io as predators and to respond appropriately by taking evasive action, such as seeking shelter in dense understory vegetation.